Amazon Prime Day is kinda like Black Friday, except you don’t have to leave the house before Thanksgiving dinner is over, fight the crowds of people, or stand in a line for eternity. 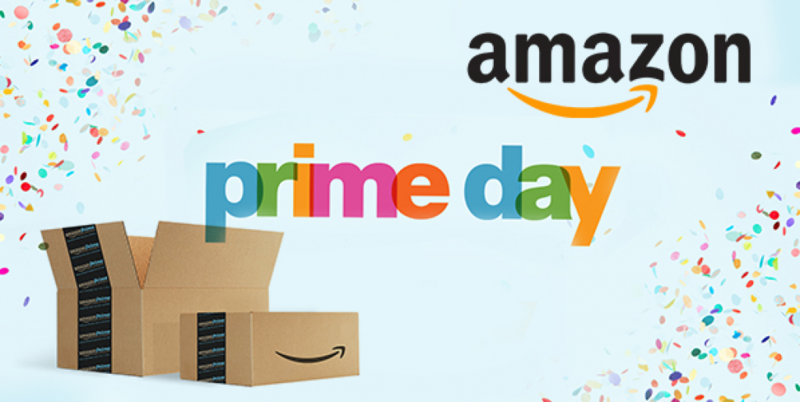 So if you’re a fan of a good bargain, but not so much so that you’ll put on pants, Prime Day is the day for you! We’ve rounded up our favorite Prime Day deals below. The Asus Chromebook is one of our favorite buys. For Google/G-Suite users, the Chromebook has everything you need for ½ the price of similar laptops. Don’t be afraid to use this bad boy for work. It can handle much more than just internet browsing and Netflix streaming. The Pixelbook is Google’s Macbook Pro competitor, but at a fraction of the cost and with more features like a 4-in-1 design (laptop, tablet, tent, and entertainment) and built-in Google Assistant. Perfect for users constantly on the go and on-sale during Prime Day. The perfect home-wifi system. Eliminate dead zones and buffering by replacing your router with the Google WiFi system. A single WiFi point covers up to 1,500 sqft, or connect a set of 3 to cover up to 4,000 sqft. WiFi points will work together to create a seamless connection. Easy to setup and install, perfect for at-home use. Turn any TV into a Smart TV with the Fire TV. Stream your favorite shows & apps in 4k Ultra HD and HDR. Use the Alexa Voice remote to say things like “Launch Netflix” or “Play Game of Thrones” (because using your fingers to navigate is really overrated). Plug the Fire TV into an HDMI port on your TV, connect it to your wifi, and you’re good to go. A much better alternative to the Roku or other streaming boxes in our opinion. On-sale during Prime Day, or you can opt for the slightly less powerful version, the Fire TV Stick, for a bit cheaper. Amazon Prime is hands-down one of the top 5 subscriptions we couldn’t live without. Free two-day shipping alone is well worth the subscription fee, but the added services like Prime Video and Prime Music are a really nice bonus. If you’ve not tried it already, you can get a free 30-day subscription during Prime Day. Use it to order today’s deals and you’ve already made your money back! Got a kid in college? They can get 50% off with Prime College today too. These are a few of our favorite things, but Amazon has hundreds of items on sale during Prime Day. Check them all out here. You’ve got until the end of day on Tuesday, July 18th to take advantage! Advertising Disclosure: This post contains affiliate links. RCN Technologies may be compensated if you make a purchase using these links.